Glamorous English film actress Sally Gray (1915-2006) appeared in many musical comedies of the 1930s and 1940s. 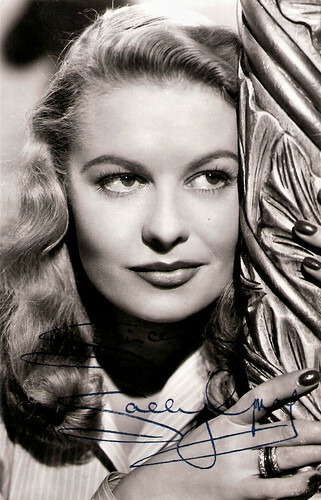 The hazel-eyed blonde Gray was seen as ‘a British rival to Ginger Rogers.’ After a break from performing, she emerged in the mid-1940s as a sultry beauty who starred in a series of moody dramas and suspenseful thrillers. Later she became Constance Vera Browne, Baroness Oranmore and Browne. British autograph card. Photo: Eagle Lion. 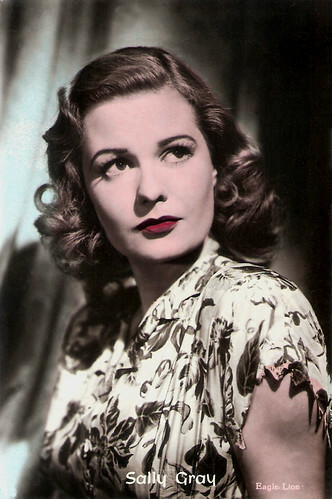 Sally Gray was born Constance Vera Stevens in Holloway, London, in 1915. Gray was the daughter of Charles Stevens, who drove a motor cab, and his wife, Gertrude Grace. Her mother was a ballet dancer and her grandmother a "principal boy" in the 1870s. Her father died when Gray was young. 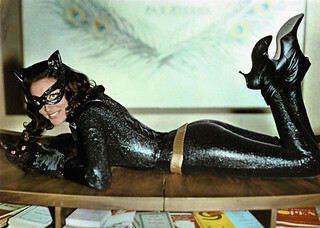 As a child, she trained at Fay Compton's School of Dramatic Art, and began acting on stage at the age of 10. Gray made her professional stage debut at the age of twelve in All God's Chillun at the Globe Theatre in London, playing an African boy. When she was 14, Gray appeared in a minstrel show at the Gate Theatre in London. She made her film debut under the name of Constance Stevens with a bit part in the comedy School for Scandal (Thorold Dickinson, Maurice Elvey, 1930) starring Basil Gill and Madeleine Carroll. The now as lost considered film is the only feature-length film shot using the unsuccessful Raycol colour process. Sally then went back to school for two years, training again at Fay Compton’s School of Dramatic Art, during which time she performed in cabarets. She appeared in The Gay Divorce (1933) on stage with Fred Astaire. Astaire gave her private dance lessons. 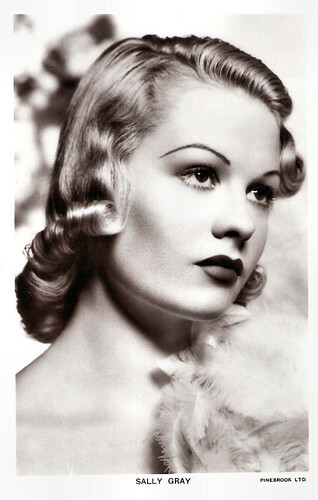 The agent John Gliddon, who had discovered Vivien Leigh, saw the 18 years-old Gray in the musical Jill Darling (1934) and signed her. Gray returned to films in 1935, with a small part in the historical drama The Dictator (Victor Saville, 1935), starring Clive Brook. She could also be seen in the comedy Cross Currents (Adrian Brunel, 1935), the musical Radio Pirates (Ivar Campbell, 1935), the comedy Lucky Days (Reginald Denham, 1935) with Chili Bouchier, and the crime film Checkmate (George Pearson, 1935). She returned on stage and was spotted by multi-talented actor-producer Stanley Lupino, who fell in love with her. Lupino was part of a theatrical dynasty that went back to 1634, and he was the father of the actress Ida Lupino. Gray had the female lead in his comedy Cheer Up (Leo Mittler, 1936) starring Stanley Lupino. 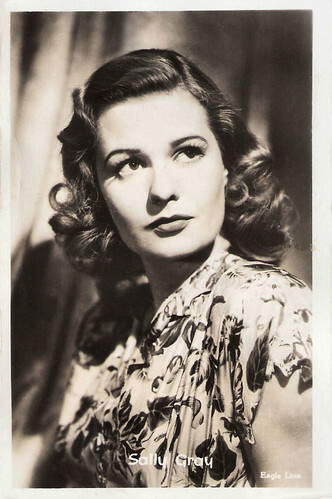 She also had leads in the musical drama Calling the Tune (Reginald Denham, Thorold Dickinson, 1936), the thriller Cafe Colette (Paul L. Stein, 1937) with Paul Cavanagh, and the musical Saturday Night Revue (Norman Lee, 1937) with Billy Milton. In 1936 she was earning an impressive £150 a week. Gray had support roles in the thriller Lightning Conductor (Maurice Elvey, 1937), the musical Over She Goes (Graham Cutts, 1937) with Lupino, The Edgar Wallace thriller Mr. Reeder in Room 13 (Norman Lee, 1937), and the musical Hold My Hand (Thornton Freeland, 1938) with Lupino. Gray was the female lead in the drama Sword of Honour (Maurice Elvey, 1938), the RKO production The Saint in London (John Paddy Carstairs, 1939) with George Sanders as Simon Templar, the musical comedy The Lambeth Walk (Albert de Courville, 1939) with Lupino Lane, Stanley Lupino’s nephew. 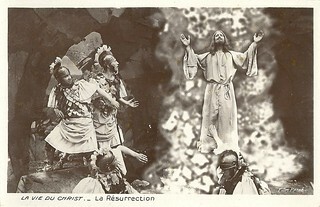 British postcard in the Picturegoer series, London, no. 1261. Photo: Pinebrook LTD.
During the war years, Sally Gray continued her career smoothly. She played a non-musical role in the thriller A Window in London (Herbert Mason, 1940), starring Michael Redgrave. According to Tom Vallance in The Independent, “she was convincing in her offbeat role as an illusionist's wife in a neatly constructed thriller”. Then she played Miss America in the comedy Olympic Honeymoon (Alfred J. Goulding, 1940) with Claude Hulbert, and had the female lead in another British RKO production, The Saint's Vacation (Leslie Fenton, 1941), this time with Hugh Sinclair as Simon Templar. The same year she appeared in Lady Behave, London's first major musical since the Second World War began. Stanley Lupino, who had cancer, had written the musical and co-starred. 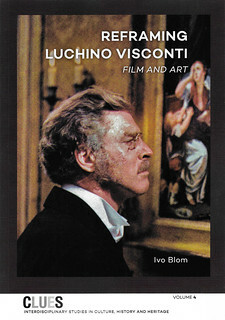 The show had to close after a month because of Lupino's illness. Gray returned to the stage to star in My Sister Eileen (1942) with Coral Browne. Lupino died, leaving Gray £10,000. Gray had a nervous breakdown, resulting in her retirement for a number of years. Lupino had been not only her lover, but her mentor and friend. She appeared in the hospital thriller Green for Danger (Sidney Gilliat, 1946) with Alastair Sim and Trevor Howard, the drama Carnival (Stanley Haynes 1946) with Michael Wilding and Stanley Holloway, the stylish, brutal Film Noir They Made Me a Fugitive (Alberto Cavalcanti, 1947) with Trevor Howard, and the drama The Mark of Cain (Brian Desmond Hurst, 1947), starring Eric Portman. Her final film was the spy thriller Escape Route (Seymour Friedman, Peter Graham Scott, 1952) with ageing American tough guy George Raft as an FBI agent in England. RKO executives, impressed with Gray, authorised producer William Sistrom to offer her a long-term contract if she would move to the United States. However, she declined the offer and instead retired in 1952 after getting married. In 1951, Gray had married The 4th Baron Oranmore and Browne, an Anglo-Irish peer. They lived in a castle in County Mayo, Ireland. The couple kept the marriage secret until the 1953 coronation, at which she appeared with her husband. The final phase of Gray's life found her very much in the upper class, and she led a comfortable life, preferring not to talk about her acting career. In the early 1960s the couple returned to England and settled in a flat in Eaton Place, Belgravia, London. Gray tended assiduously to her gardening in later years. After 51 years of marriage, her husband died in 2002 at the age of 100. The couple had no children. 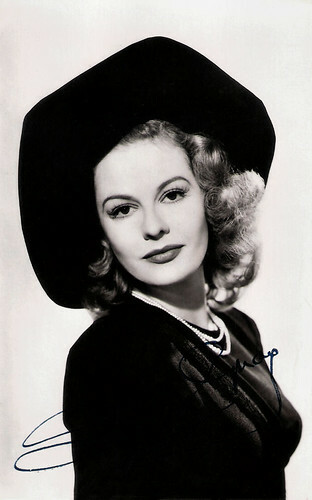 Sally Gray died in 2006 in London, England. She was 91. Dutch postcard. Photo: Eagle Lion. Sources: Tom Vallance (The Independent), Ronald Bergan (The Guardian), Gary Brumburgh (IMDb), Wikipedia and IMDb.